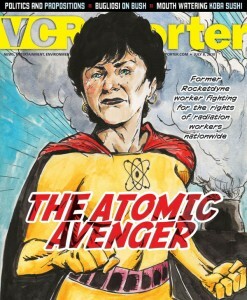 Bonnie Klea is The Atomic Avenger, the subject of a July 8, 2010 Ventura County Reporter newspaper cover story. The piece was greeted with raves for the work Bonnie has done on behalf of the thousands of nuclear workers who toiled for the Department of Energy and sometimes paid a heavy price with their bodies and lives. Earlier this year, Bonnie wrote up her story which we are proud to share here. Note that this piece refers to petitions that have subsequently accepted by the government, further demonstrating what a lot of determination will do, especially when you are as smart and honorable a person as Bonnie Klea. 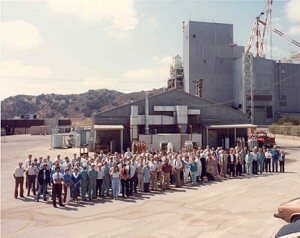 On Tuesday, February 9, 2010, the Advisory Board on Radiation and Worker Heath will hear a petition for the Santa Susana nuclear workers who worked at least 250 days between January 1, 1959 and December 31, 1964 and who contracted one of the 22 cancers associated with radiation exposure. In 2009 the Advisory Board approved all Area IV claims for years 1955 through 1958. All worker claims that were previously denied but met the qualification would now be paid. In 2000 The Clinton administration signed into law the Energy Employees Occupational Illness Compensation Program Act (EEOICPA). Up until this time the Federal Government helped the corporations fight all worker claims for radiation exposure illnesses. I called the Department of Labor immediately to find out which company’s were listed. I was shocked to see Atomics International and Rocketdyne listed with work sites at DeSoto, Canoga, Downey and Santa Susana. As a former nuclear worker I filed a claim immediately, gave the story to the newspapers and asked the Department of Labor to hold meetings in our area to inform the workers. Little did I know at the time that the Compensation Program would not help most workers. NIOSH designed a method of estimating the workers radiation dose called Dose Reconstruction. Unfortunately as I learned later, the exposure records were skimpy, especially the internal monitoring records. By 2007 I found out that less than ten percent of our workers had been compensated. I also found out that a whistle blower in the Seattle office of the Department of Labor was required to deny claims every day under a quota system. She was fired after refusing to deny claims that had merit. The EEOICPA has a “last ditch” method of filing an appeal if you’ve been denied compensation called the Special Exposure Cohort (SEC). I was denied three times and each time my estimated dose was reduced. A number of 50 percent or larger was needed to have a claim paid and on my final denial my estimated dose was three percent. My claim also stated that there was a lack of records for the Santa Susana workers so NIOSH used “surrogate data” from the Gaseous Diffusion Plant in Portsmouth Kentucky. This was a reactor unlike our sodium reactors and had totally different radionuclides. Portsmouth was designated an SEC facility from the start of the program, meaning they did not have records either!! I knew then that I had to take action for myself and all the workers. 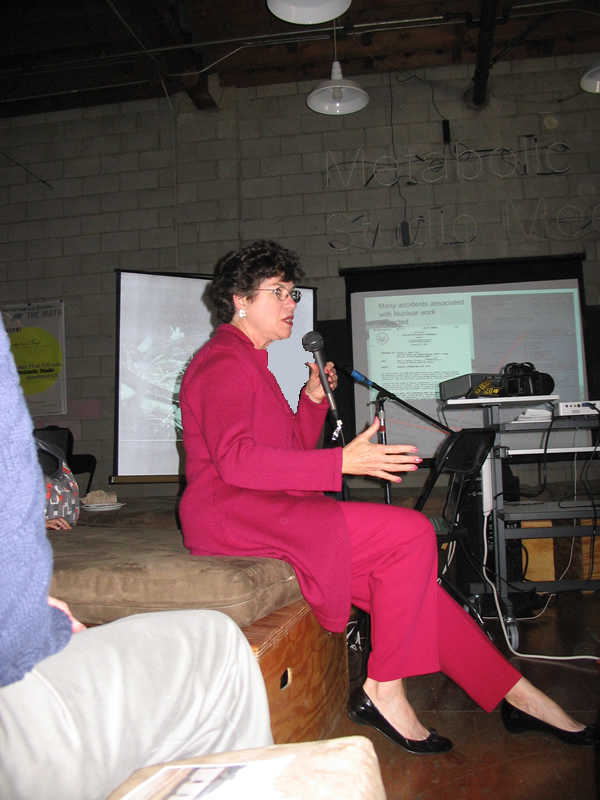 In 2006, I started preparing my case for SEC status for Santa Susana. I had to prove to NIOSH that we had no monitoring, bad monitoring and falsified data. I had a box of data collected from my 10 years of participation in the Santa Susana Field Lab Work Group meetings. I started rereading everything I had, made notes and did highlighting. I had excerpts from the 1989 Department of Energy “Tiger Team Report but I lacked the full report of this critical assessment done by DOE of all the nuclear facilities in the United States. I was told by Gregg Dempsey, EPA, that it would be impossible to get a copy of the report as few copies were issued. I called Gerard Abrams of the Department of Toxic Substances (DTSC) and a copy showed up in the mail the following week. The advocates from the Rocky Flats nuclear facility in Colorado are still unable to get a copy of their “Tiger Team Report” so I know how special these copies are. I started reading the Resource Conservation and Recovery Act report (RCRA) and the Tiger Team Report. I found that these were the two most important documents. I also had a collection of letters written by Gregg Dempsey that were critical of the environmental monitoring program because samples were burned with the intent to lower radiation values. Gregf was also critical of the internal monitoring program for the employees. I spent one year reading, copying records and summarizing for NIOSH the reasons why Santa Susana should have the SEC status. In May of 2007, NIOSH sent letters to claimants whose claims were denied for a special meeting to inform them of the SEC program. I handed my petition to their representatives at this time and met many claimants and heard their stories of cancer and denial of benefits. My petition qualified for acceptance later that year and by 2009 all the workers or their families were paid for 1955-1958. 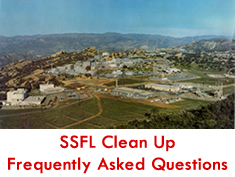 NIOSH found that the internal monitoring for Santa Susana was inadequate and because all the facilities used the same monitoring program, Downey, DeSoto and Canoga facilities now have a very good chance of having their claims paid. You would think that the National Institute of Occupational Safety and Health (NIOSH) would be protecting the interests of the nuclear workers—that is what I thought. As I got further involved in the compensation program I began to wonder if this was true. I saw that an operator of a reactor could not get his claim paid because the site description was provided by the site contractor and it basically said that there were no releases and no exposures. I found that NIOSH used the site expert to gather information. Our site expert was also the “expert witness” who testified against the sick workers, including mine, when we filed Worker’s Compensation claims I had huge obstacles to overcome including the interference of Boeing representatives, a site profile that said that there were no releases and no exposures and a continuing denial by NIOSH that the workers were exposed to a level of 50 percent or greater even though they did not have adequate radiation records. When I was very young, my parents labeled me as stubborn and bull headed. Now I realize that those characteristics can be an asset when one is seeking justice from the United States government and a large corporation. For fifteen years I have been seeking justice for myself and others. I moved to California in 1962 from a small town in Minnesota after graduating from Business College. After working in the mortgage industry for one year, I had the opportunity to interview for a job at Santa Susana for Atomics International. The Atomic Energy Commission (AEC) did an extensive background check on me and I was hired. It was an honor for me to have been hired to help the United States in the arms race. I was not indoctrinated about the nature of the work and was not warned about the dangers at the work site. As part of my duties I had an AEC car to drive around and deliver paychecks on Friday to all the workers. The terrain was rugged and the support buildings were all outside of our office space. I had daily treks to the mail and supply rooms, ditto building and photo and x-ray labs. The mountain was a beautiful place to work. I did what I was told even though I did not know the nature of the work. I had a “Q” clearance and did not try to understand what was going on for reasons of national security. In 1971 my husband and I bought a house close to the site and started a family. 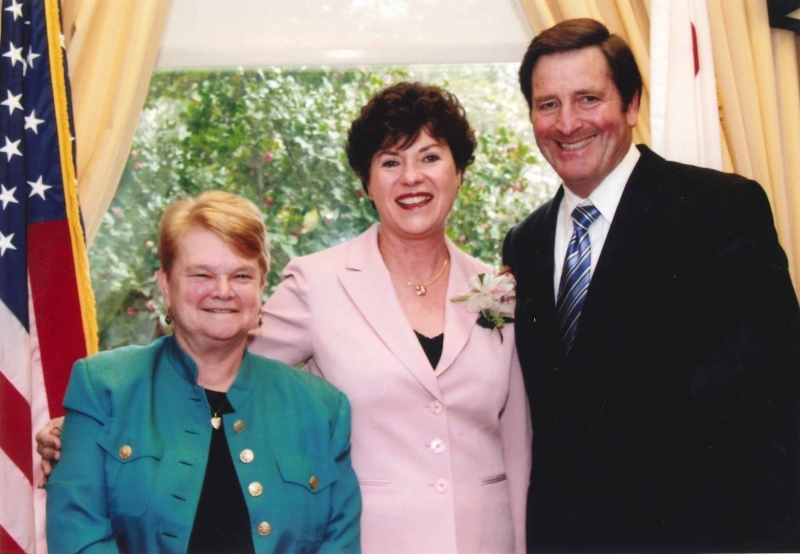 I became a full time mother, devoted myself to my two sons, husband and community. My years of working close to 10 nuclear reactors was put far into the recesses of my mind. In 1994, my husband and I separated and it was during this period that I began having health problems. Bladder cancer presents itself with frequent urination, pelvic pressure and sometimes visible bleeding. As far back as 1989, microscopic blood was found and a retest showed negative traces. It is a very slow growing cancer, like prostate cancer. By 1994, the pelvic pain was constant and unbearable. My HMO treated me for bladder infections and menopause for nine months instead of referring me to a urologist to look into the bladder. By 1995, I went into the waiting room in my doctor’s office crying and screaming from the pain for a referral to a urologist. The urologist discovered a 1 cm sized tumor in my bladder. Surgery was required to remove the tumor and do a pathology test. Alone in the doctors office I was given the news that I had cancer and had to have my bladder removed or I would die. I started hyperventilating and had to lay down while breathing into a paper bag. The office called a friend to come to the office to sit with me. Now I know why medical forms always want the name and number of an emergency contact. I was diagnosed with a late stage transitional cell carcinoma of the bladder which was invasive into the muscle wall. I couldn’t believe that I had cancer because I was very careful with diet and exercise and wondered what I did wrong. I consulted with UCLA on my treatment options. They were pioneering a urethra saving bladder removal with an artificial bladder built internally with parts of the colon. The surgery was extensive and very risky. I learned that Mayo Clinic did not recommend this surgery for women because our urethra are very short. I consulted with a local oncologist about doing chemotherapy and he warned me that it was risky to do chemo instead of bladder removal. He also asked me where I worked because bladder cancer is an occupational cancer and quite rare with women. The light went on when I told him that I worked at Atomics International. He said that he was treating many workers from A.I. In the past he wrote a letter to them and asked what they were doing to their workers to cause so many cancers. After weighing all my options and after much prayer, I chose to save my bladder and do chemotherapy followed by radiation. My doctors all wrote letters for my file that they did not recommend this choice. It has been 15 years since my treatment and I have had no recurrence of cancer. I put my fate in God’s hands with the promise that if I survived that I would help everyone who crossed my path and needed help. My doctors now call me “their miracle patient”. I had many obstacles to overcome during my fight for justice. In my Workers Compensation claim, I was threatened by the corporate lawyers. They had a tactic of blaming the injured by suggesting that it was household chemicals, airplane flights and drinking sodas that caused the cancer. I lost that fight but gained a lot of knowledge. I didn’t know that the Federal Government was helping the corporation fight our claims. One of the workers claimed that Boeing said they “never” pay claims and would fight all the way to the California Supreme Court, rather than pay a sick and dying worker. With NIOSH, I was told that bladder cancer was not radio-sensitive and found out that the agency has denied 97 percent of all bladder cancer claims in the United States. The is contrary to the studies on the Japanese. The studies showed that women were particular at risk for radiation exposures with a higher than expected rate of bladder cancer. Areas of the population closest to the Boeing site have a 50 percent higher rate of bladder cancer in three separate studies. Also statistics of the sick workers show that bladder cancer is second only to lung cancer for the workers. The Boeing Expert Witness has also been an obstacle—fighting my Workers Compensation claim and now he is the site expert as a consultant to NIOSH. Conversely, I have also had a tremendous amount of help and support. Through a series of phone calls I contacted Dan Hirsch, Committee to Bridge the Gap, and Dan promptly sent me a package of information about the reactors and their failures. The quarterly work-group sessions started by Congressman Elton Gallegly gave me contact to government agencies and involved community members. I have had press coverage from the Los Angeles Daily News, the Los Angeles Times as well as the Ventura Country Reporter, EnviroReporter.com and the Ventura County Star. Radio coverage has ranged from National Public Radio to local talk shows. Television included KCET and KCBS – Channel 2, Special Assignment. State Senator Sheila Kuehl and her Chief of Staff, Laura Plotkin, were instrumental in our journey by passing a law, SB 990, for a thorough cleanup and holding hearings where I could speak about my journey. Every story that was publicized and every talk show that was aired raised awareness to former workers and worker families, who were then able to find me and tell me their stories. Our organized Work Group has been valuable for the community with many years of experience and the ability to continue to educate the community surrounding the site. We have a dedicated team of workers at the Department of Toxic Substances Control who are effective at informing the public along the way to cleaning and declaring the property safe. Now the West Hills Neighborhood Council has its own environmental group to weigh in on local issues and the Santa Susana site as well. There is a venue for anyone who wants to get involved. For my petition and work with NIOSH, I plan to ask for continued work to cover all the workers through 1988 and for the cleanup workers. I have learned many lessons along the way that in life the hard times can make you strong and give you lessons to learn which can help in the next trial. We all will suffer hardships and you can sink or swim—it is your choice. I have learned that when you are right, trust yourself, the truth will come out eventually. Many times the good people win. It only takes one person to change the lives of many. I was the only worker who could take this petition to NIOSH to change the course for the Santa Susana workers. I was already educated about the site and its history. No one else could do what I have done and I see that my life has led me to the point. The course was set many years ago. I now know that when my life is over that I have accomplished my purpose for being here and that there was a reason for going through trials and suffering to see justice for our injured workers and families who were devastated by death and cancer of family members. I feel victorious and want to continue to help the workers. The feelings for the injured families go very deep into the soul and the satisfaction of helping them is a quiet, strong satisfaction.